We like discovering new wines...interesting and unusual wines made from grape varieties that are a bit "off the beaten path." Most stores selling wine stick to wines for which there's already a demand, so they don't have to "show & sell." Most places, further, don't even make an effort to guide consumers to good, soulful wines. It's easier, frankly, to simply post a numerical score and let folks fend for themselves. One chain of stores even has its own wine guru who bestows 90 point scores on wines. What a sick way to buy or sell wine! Given that most critics use "Cabernet Sauvignon" as a yardstick, how can they possibly taste and appreciate a wine made of Charbono, Tocai Friulano or Zweigelt? Well, if you can break away from the mainstream, I promise that you'll find some really interesting wines and, frequently, good values, too. 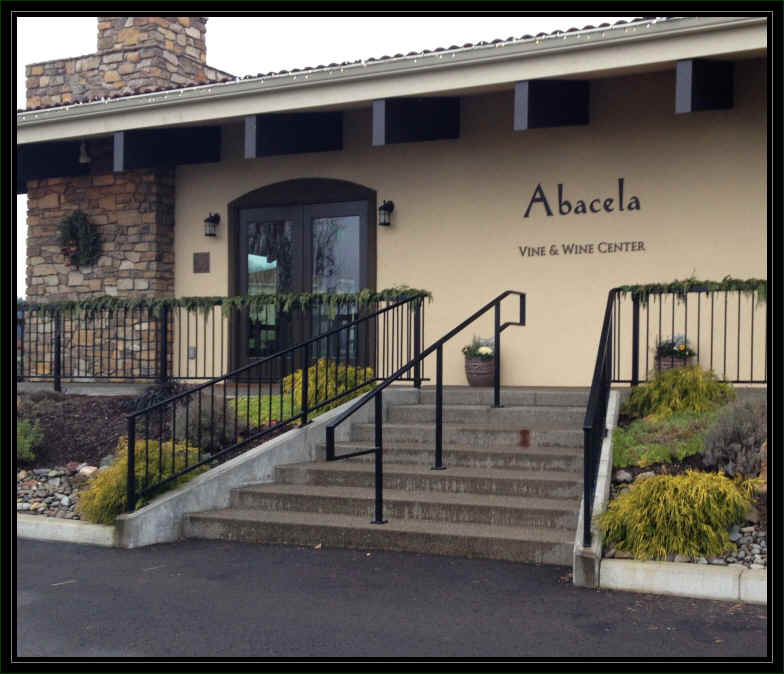 The Abacela story is remarkable and it centers on two hardy souls who enjoyed the budget-priced wines they could afford from Spain. Earl & Hilda Jones (that's their real names, not something from the Witness Protection Program) lived in the Gulf Coast and were perplexed that the grape responsible for the wines they loved so much from Spain, Tempranillo, was not much of a presence anywhere in American wine regions. This, of course, was back in the late 1980s and early 1990s. Mr. & Mrs. Jones began studying climate way back when and it helped that their son Gregory is a climatologist and researcher who's now working at Southern Oregon University. Dr. Jones was on the road to working in the culinary world before his parents' interest in grapevines got him headed in a different direction. 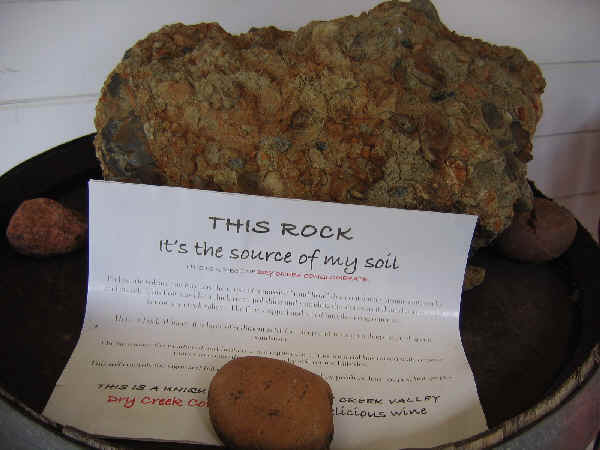 They chose an un-tested region and began planting Tempranillo in Oregon's Umpqua Valley, a place that was just starting to simmer with winegrowing activity.. 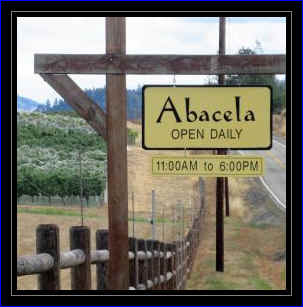 In fact, the word "abacela" translates from some old Iberian language indicate the planting of a grapevine. And plant they did, indeed! Today they have 10 clones of Tempranillo scattered around 27 acres of vineyards. 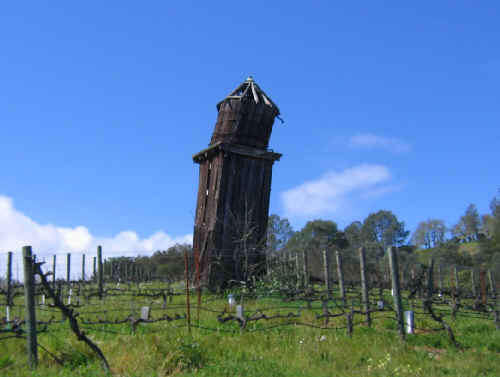 And the vineyard sites are geologically quite diverse. The Jones family makes several Tempranillo wines. We currently have their "Fiesta" bottling, a sort of entry-level wine which is actually quite good. We were a bit surprised to find this wine hits so many of the notes we appreciate in good Spanish wines. It comes from their Faultline Vineyard and this is a remarkably diverse site. Diverse in terms of elevation and slope, as well as terroir. Anyway, the 2012 Fiesta is quite good...it's along the lines of a good Crianza wine from Rioja, but perhaps a tad fuller in body, so comparing it to a wine from Ribera del Duero is not much of a stretch, although it's not one of those high alcohol, heavily extracted sort of wines. The wine saw 79% French oak and 21% American barrels with 18% of the wood being new. We like the hint of oak in this wine...it's there just so you can sense it, but not so much that it's all you smell or taste. The wine is nicely gentle on the palate and it's even smoother paired with paella, lamb or well-seasoned roasted chicken. They make a terrific Reserve bottling, too. In the past 16 vintages, only 6 were deemed worthy of this designation. The wine is deeper and more intense than the Fiesta bottling. It's matured in a high percentage of new French oak and we like the woodsy impression present on the nose and palate. We expect the wood will integrate with the black fruit notes of this wine. It's got a moderate level of tannin and pairing it with grilled lamb will make the wine taste smoother. It's a splurge at fifty bucks, but the wine is a winner. The made something like 6 barrels of this...123 cases. The beautiful label was designed by Hanna Jones when she was a kid. She's still young, actually, but she's an interior designer these days. From South-western France, we have a couple of exceptional wines from Didier Barre's Domaine Berthomieu. These are made from interesting and, to Californians, unusual grape varieties. His Madiran is called "Cuv�e Charles de Batz," a blend of 90% Tannat and 10% Cabernet Sauvignon. If you like big, deep Cabernets, put a bottle of this on the dinner table! The vineyard land in this south-west appellation struck me as rather rugged, perched on steep hills and worked by rugged individuals. I suppose it's little wonder, then, that the wines of the Irouleguy area are some of the most "sturdy" in France and they're a galaxy apart from today's modern, internationally-styled wines so prevalent thanks to point-counting world. You're in the Pyr�n�es and Basque Country when visiting producers of Irouleguy. The language is different, the people are wonderfully different and the wines, thank goodness, are different. Domaine Ilarria is owned by Peio Espil, one of the top vintners in the region, not that there are hundreds. In fact, most of the wine of the appellation is made by the local growers' cooperative. Most of the production from the region stays at home...only 10% is exported. But then, when you think about it, not many foreigners probably have a palate to appreciate this sort of wine. They make a ros�, for example, which is screamingly dry and tart. Here's a wine based on the Tannat grape that's "tempered" with Cabernet Franc (yikes! ), so it pairs well with red meats, duck, etc. The word "austere" comes to mind as a good descriptor. I like the 2009 from Ilarria. It's big, moderately herbal and I found the Cabernet Franc to give much of the aroma in this wine. If you're a fan of Madiran and Cahors wines from the Southwest, you might consider trying a bottle of Irouleguy. American wine geeks visiting the Ilarria cellar. Peio Espil in explains cultivating Tannat and Cabernet vines in Basque Country. The vines, just 6 miles from the Spanish border, are cultivated organically because Espil says the indigenous yeast on the grapes is 'stronger' or more capable of a complete fermentation. Yields are rather small in an effort to maximize quality. Here's an antique bottle of Irouleguy...a 1928! We view the Colom� Torrontes as the benchmark example of this grape. The folks at this winery credit the high elevation and intense ultraviolet light with helping to produce this remarkable wine. I don't know if that's why this wine is so magnificently aromatic and flavorful or if it's the particular clone of Torrontes. But whatever it is, this wine is remarkable. The fragrance is detectable the moment you open the bottle...there are fragrances of exotic fruits and a bouquet of intensely perfumed flowers. Despite all these "sweet" elements, the wine is actually quite dry. If you're looking for an amazing aperitif wine, consider this. One of our all-time favorite Portuguese wines is back in stock. It's a remarkable example of Alvarinho (or Albarino, if you like). The wine is fresh and fruity, nicely dry and crisp with a faintly stony/minerally note and a touch of spice. I brought a bottle to the Judge's Dinner at the San Francisco at the San Francisco International Wine Competition. We passed the bottle around the table and everyone was either writing down the name of snapping a picture of the bottle as it's that good. If seafood is on the menu this week, do stop by and snag a bottle of Soalheiro! They make an "old vines" bottling...$29.99 a bottle and it's sensational. Only a few bottles are in stock, as we cleaned out the importer's stock of this. Very fine...it's similar to the regular bottling, but like the volume on the speakers is turned up all the way. The Garzon winery is a new enterprise in Uruguay that, from what we've tasted, has moved to the head of the class in that South American country. They hired a famous Tuscan winemaker to be their consultant, Alberto Antonini, who's also paid by California's Gallo winery to oversee operations in Argentina (as we understand it). Antonini, who's been affiliated with Antinori and Frescobaldi, notes the Garzon vineyards are reminiscent of those in northwestern Spain. And so they're cultivating Albarino. But Antonini says the rolling hills remind him, too, of Tuscany. And, the Tannat grape has become the calling card for Uruguay and when you taste this red wine, you'll know why: It's delicious and well-priced. This is a wine that fits on the dinner table in place of a Cabernet or Merlot. It's a perfect red for grilled or roasted red meats. There's dark fruit notes here and some beautifully cedary oak. We've been hearing about so-called "orange wines," white wines that are fermented on the grape skins along the lines of a red wine. The wine picks up some color from the skin contact and, sadly to us anyway, many of these wines show oxidative characteristics and the wines smell "spoiled" (unless we're drinking Sherry). Denis Jamain has been making wine for many years in the Loire Valley town of Reuilly. The main grape there is Sauvignon Blanc and he makes a good one that gives good Sancerre a run for the money. But he also has a couple of hectares of Pinot Gris. And this wine is fermented with the skins for a while. Pinot Gris grapes, when they are mature, have a modest coloration to them, so there is a bit of pigment to make the wine appear to have a salmon-hue to it. I asked Monsieur Jamain if he was much of a fan of "orange wines" and he admitted he didn't know much about them. "Well, you've been making one longer than most winemakers and yours, oh-by-the-way, is beautifully made and extremely drinkable!" He was delighted to receive a bit of praise for his efforts, as you can imagine. I wonder if he's (since) gone in search of "orange wines" to make the comparison. I was at a tasting where a fellow asked what I thought of some very sketchy wines. My response was "When the Merlot and the Pinot Gris have the same color, Houston, we have a problem!" Well, Domaine de Reuilly Pinot Gris is crisp and dry. There's maybe a suggestion of melon or pear on the nose and palate. Consider serving this with prawns or scallop dishes, Asian cuisine, chicken, etc. 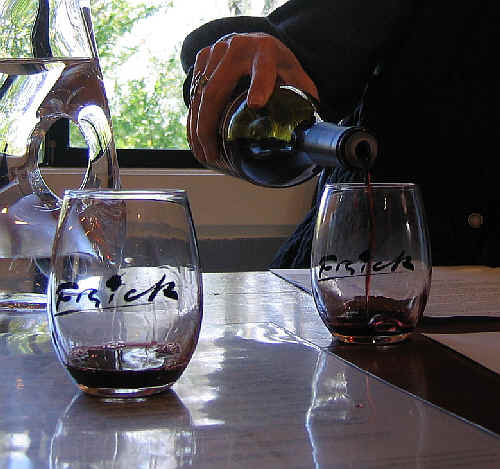 Bill Frick has been making interesting wines since the mid-1970s. He was a young hippy back then and today he's, well, an old hippy. And he makes some "hip" wines. We tasted through Bill's current line-up and found his blended red called "C-3" to be really soulful. It's a blend of three varieties, all starting with the letter "C." There's Cinsaut, Carignane and Counoise. The Counoise comes from his vineyard near the winery while the other two come from some old head-pruned vines a short distance from the winery. This is a medium-bodied, mildly berryish red. He only made something like 6 barrels of this wine.